One of my goals this year is to offer more tutorials here. I've called this one Scrappy 9 churn dash - enjoy! 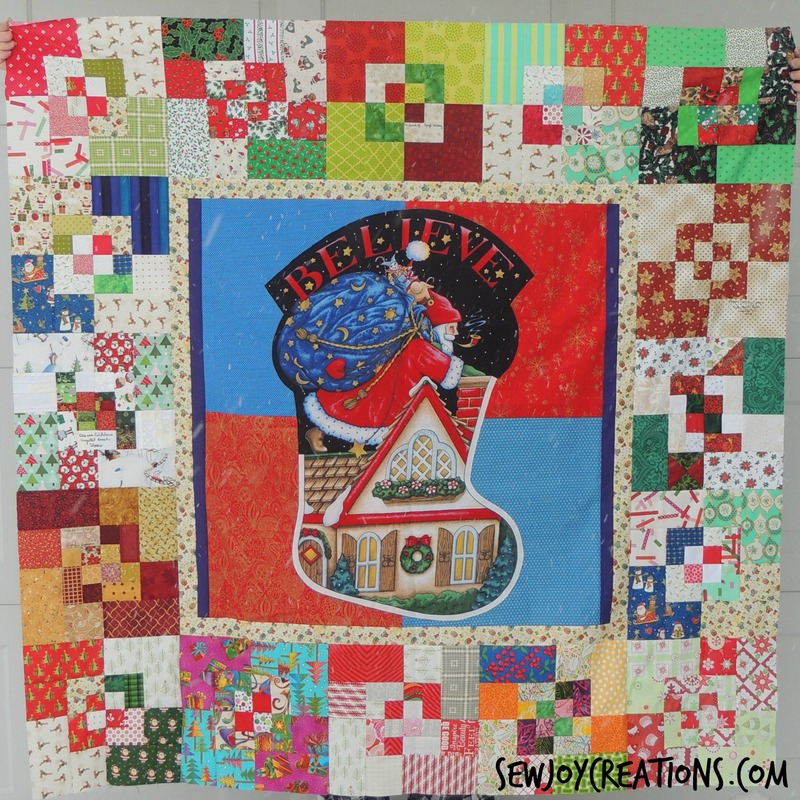 You can see my first attempt at this block in my Christmas sampler quilt from this year. I needed to make another 12" block to finish a row. I also had lots of small scraps left over to make more scrappy bento box blocks - all in Christmas colours. 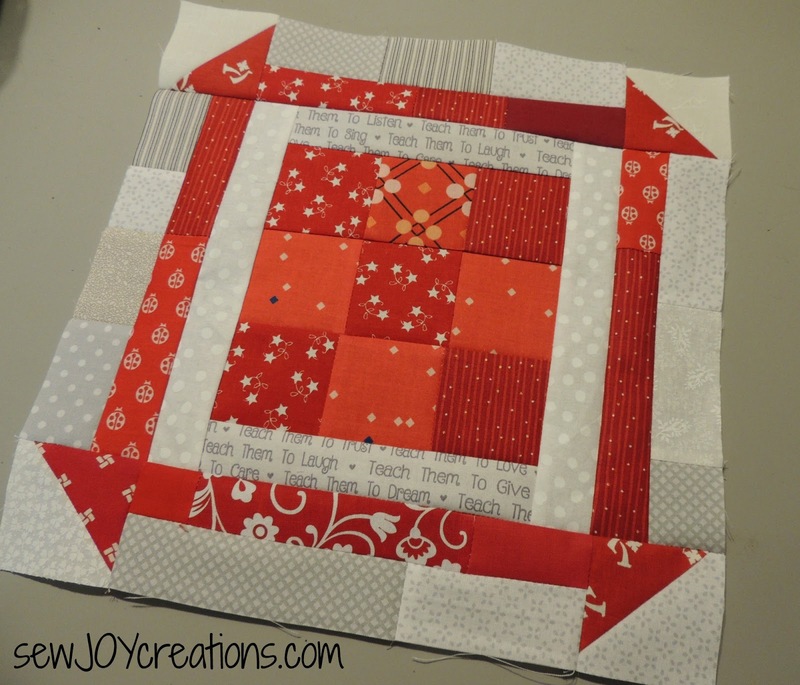 I combined the two and my love of the churn dash block to come up with my new scrap busting block! 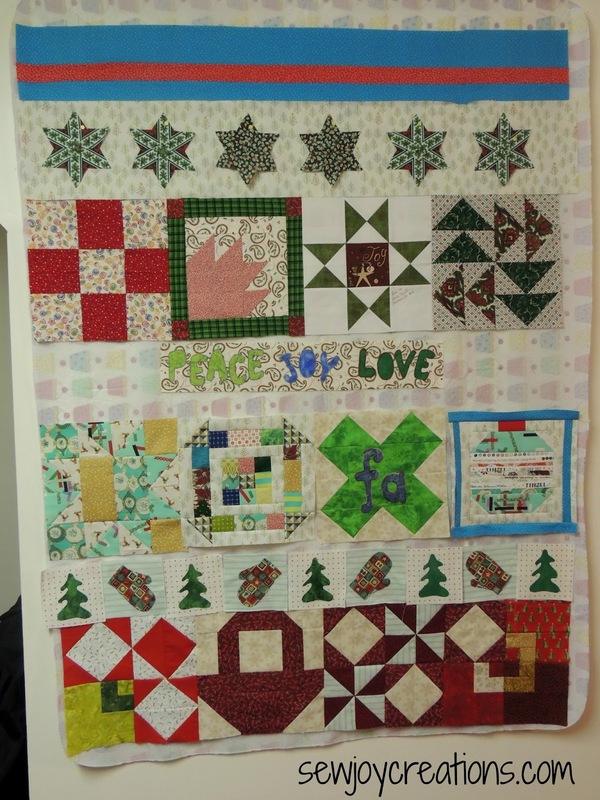 My first attempt only came out to 12" and was a tight fit into the quilt - but I did manage it ;) I thought I'd try again and make a full 12 1/2" block to share with you. In my original block I used a mix of different colour fabrics for the 9 patch and the churn dash with light fabrics for the background. 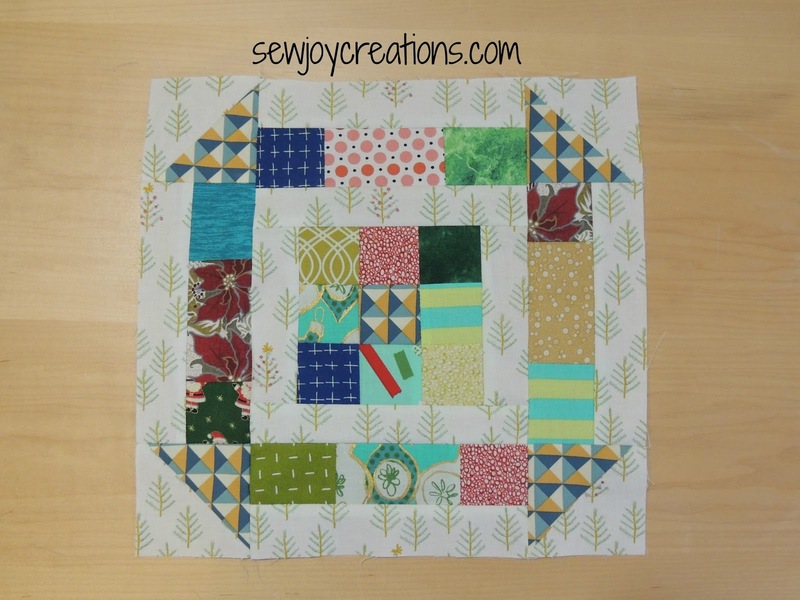 I decided to make my block using all one colour of scraps for the tutorial to make it easier to show you background and block units in my photos. For the half square triangle units (hsts) - 2 - 3" squares in your colour of choice AND 2 - 3" squares in background fabric to make 4 hsts each measuring 2 1/2" square. * I had leftover hsts from my 150 Canadian Women quilt blocks that I used for this red block. Use leftovers if you have them - even trimming down leftover larger sized hsts if you want! 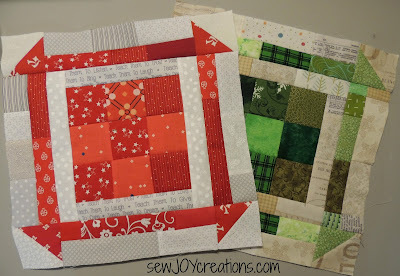 Othewise follow along below where I give brief directions to make 4 hsts. Press the seams in the top row to the left, the middle to the right, the bottom row to the left again. 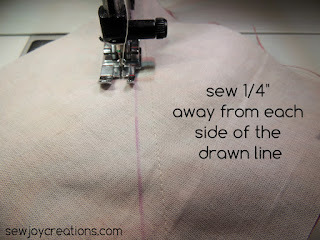 Sew the rows together and press the seams whichever way they want. 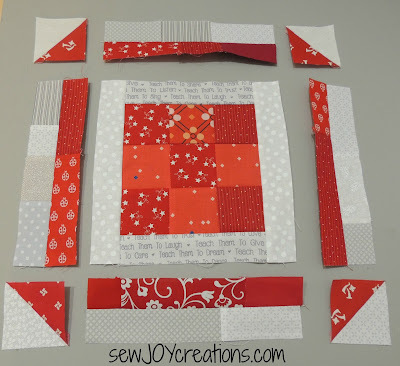 Sew the top and bottom 1 1/2 x 6 1/2" border strips to the 9 patch, pressing these seams to the border strips. 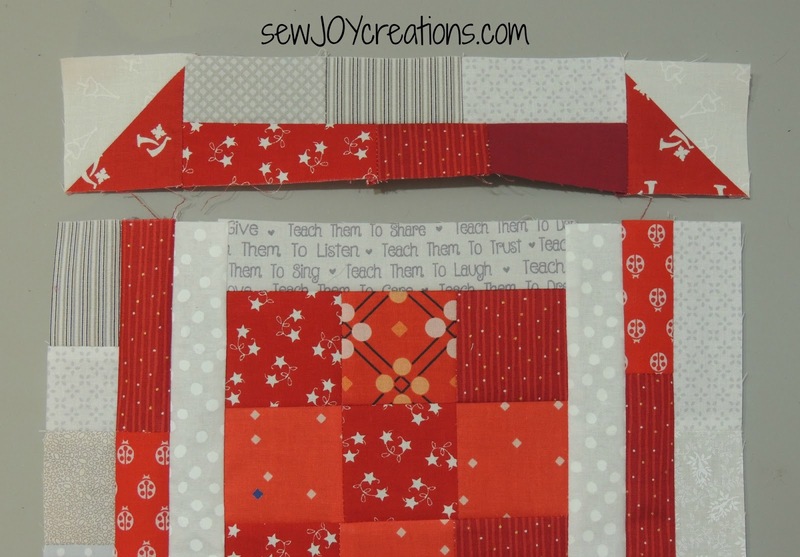 Sew the side 1 1/2 x 8 1/2" border strips to the sides of the patch, pressing the seams to the border strips. The bordered 9 patch should measure 8 1/2" square. 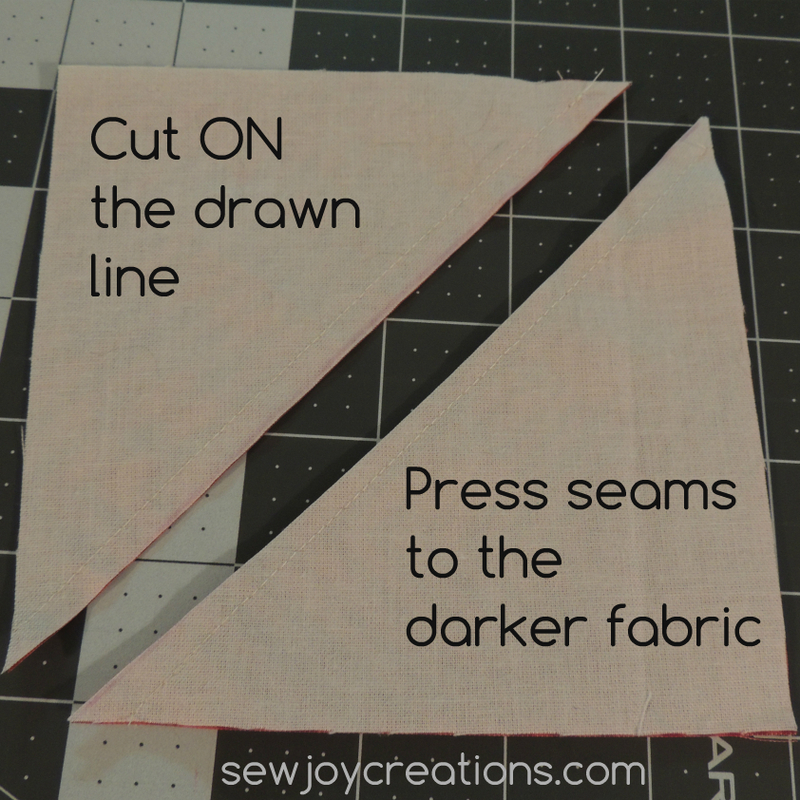 To make the half square triangle units, on the wrong side of each of the 3" background squares draw one diagonal line; this is your eventual cutting line. Match up one 3" square of the fabric of your choice with a background square, right sides together, and sew 1/4" away from each side of your drawn line. 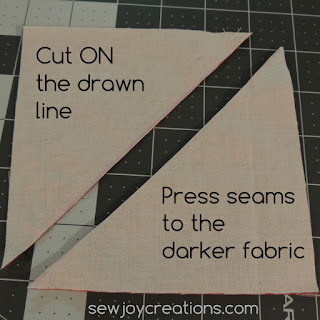 Cut ON the line and press the seams to the churn dash fabric. Trim each unit to 2 1/2" square for a total of 4 - 2 1/2" hsts. Sew strips of the colour of your choice together end to end to make 4 strips 8 1/2" long. Repeat with the background strips to make 4 background strips 8 1/2" long. 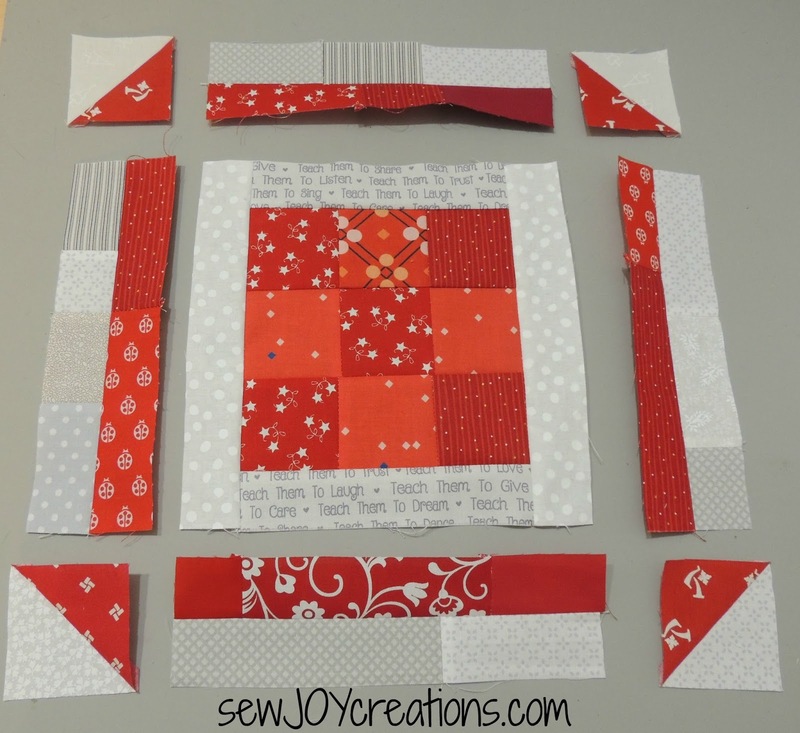 Sew together in pairs one background strip and one colour of your choice strip to make 4 sets. Sew one churn dash side set to the left side of the bordered 9 patch unit; press the seam to the churn dash set. Sew one churn dash side set to the right side of the bordered 9 patch unit; press the seam to the churn dash set. Sew one hst to each end of the remaining two churn dash sets with the colour of your choice side of the unit facing in (the background to the outside of each end.) Press the seam to the set. 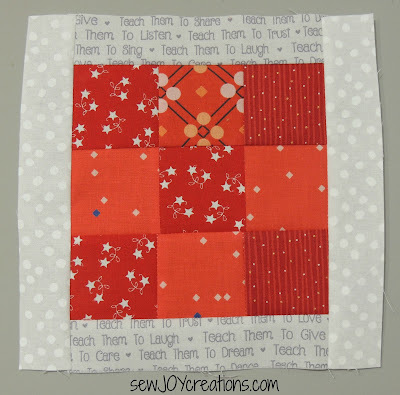 Sew one of the sets with hsts to the top and one to the bottom of the block. Press the seams to the added units. 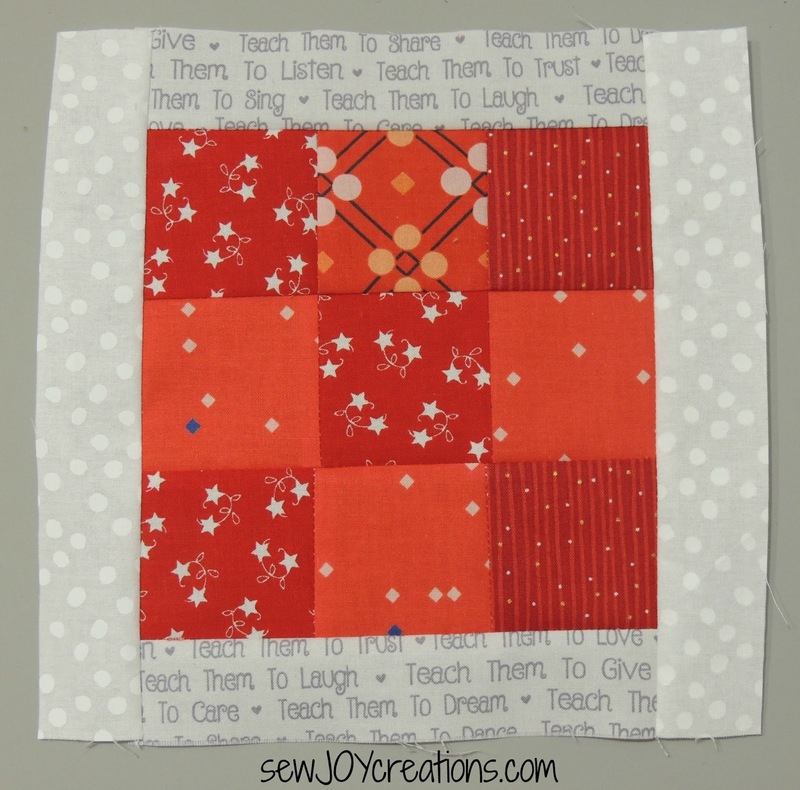 The completed block should measure 12 1/2" square. It turns out I have a lot of scraps right now - including lighter ones which is rare for me. To take advantage of the scraps I made another scrappy 9 churn dash, this time in greens with my lighter background fabrics in more ecrus and tans. 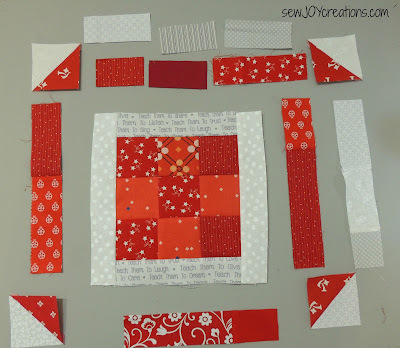 The red block has more white and grey fabrics. I like both! This just might be an ongoing scrap project for me this year - think I can make one for each colour of the rainbow? 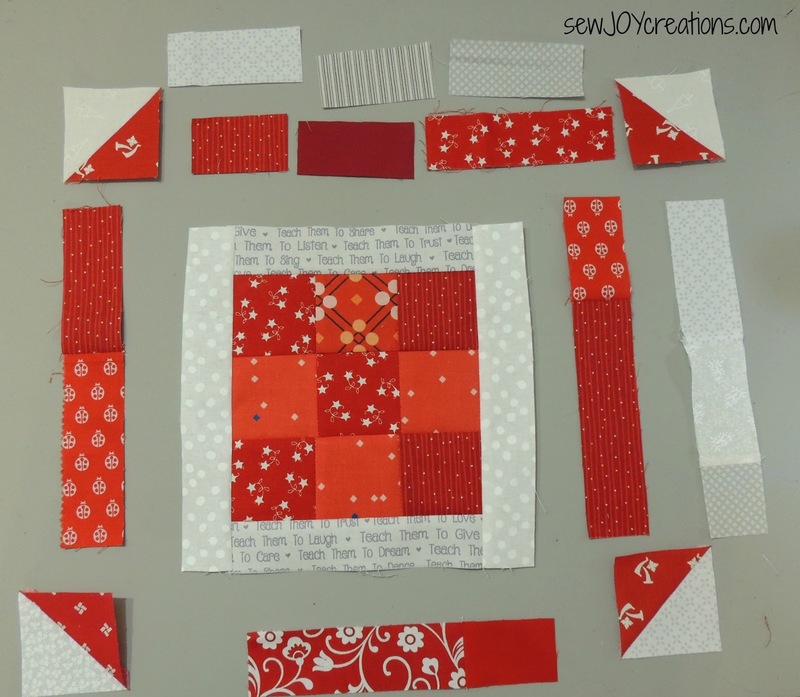 Thanks Sarah...looks like a fun block to make...rainbow quilt sounds good! I love this block!! Thank you for the tutorial and the inspiration! !